To Live Creative allows for the exploration of imagination. Celebrate National Live Creative Day by taking the time to invent, discover and dream. Bringing creativity in our lives through a variety of media from painting and graphic art to music and gardening will have an impact on our lives. By expressing our desires and living creative lives, we experience the world. 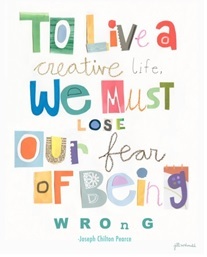 Stepping into the “Live Creative” world includes a boundless sense of freedom. Rules tend to fall away when the imagination is released. Authors and artists have long postponed reality in support of their work, to the satisfaction of their imagination. They live creative. We don’t have to be a master sculptor to live creative. Blending a dash of creative into moments of our everyday life can have a powerful effect. Simply being exposed to the arts inspires ideas at home and in the workplace. Renewing a hobby reduces stress just by being purely enjoyable. Teaching someone else the craft nurtures personal expression and offers an opportunity to see the world through another person’s eyes. 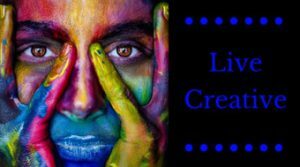 To help you start living your life creatively, here are some resources from the Freeman/Lozier Library.